Parkinson Property is an independently owned business that has provided a letting and property management service in Lancaster and Morecambe since 1986, and we currently fully manage over 450 properties. The proprietor Andrew Parkinson is accredited with the government backed Property Ombudsman. This organisations provides protection for both landlords and tenants. 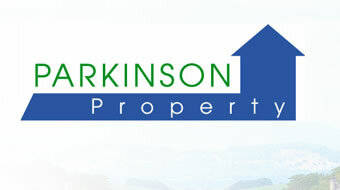 Parkinson Property has reduced the costs of using an agent. Clear pricing and peace of mind is what we are offering and we are able to compete with the best at a competitive cost. We are a team of ten, who do not compromise on professionalism, quality or customer service. We have a dedicated applications manager, as well as 6 property managers who look after the portfolio. The proprietor, Andrew Parkinson, leads the team and attends appraisals and meets new landlords. He regularly makes use of Rightmove data in the aim of pricing properties realistically to achieve letting in a quick time frame, stopping your property having lengthy void periods. We think it's a crying shame when properties are overvalued and sit empty, often for so long that even if the higher price was achieved, it's negated by how long it was empty. We also find that we have lower tenant turnover when the properties are priced well and are comparable within the area. We offer honest, straight forward advice to landlords, and will not simply quote the highest rental figure at an appraisal to win business - we want to get the property let for you. We have a simple menu of prices for the services that we offer, which are completely transparent. We conduct viewings seven days a week up to 7.00pm. We also have an approved team of professional and reliable contractors for any property maintenance work. We offer a complete service to property owners for total peace of mind. Please don't hesitate to give us a call to discuss anything with us, we're always happy to help!